Since being formed by Joseph Davids in 1998, LATIN8 Productions Ltd has built up an enviable reputation as one of the most successful promoters in the UK Latin scene. This is based on extensive knowledge of the scene, commitment to quality, a genuine enthusiasm and dedication to making the UK Scene into one of the very best in the World. In 2004, LATIN8 Productions Ltd working together with other parties formed The Latin Collective. However, the driving force has always been our Director, Joseph Davids. 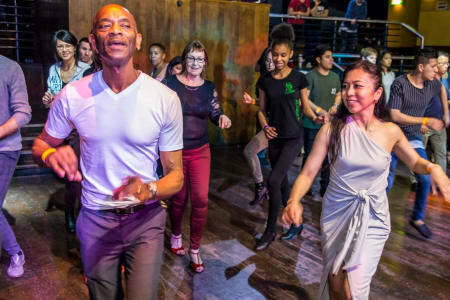 First, and foremost, The Latin Collective is the the single biggest Latin Dance promotion company in the UK and Europe. Why? : 1. There is a dedicated team of 25 teachers, DJ's and staff who coordinate the classes, host events and provide back up for all the events 2. They have the largest student base in the UK with well over 1000 students attending our weekly classes at our various different venues/locations. 3. They have a history of hosting major events and even coordinated and managed outdoor festivals attended by over 80,000 people. 4. Their active membership exceeds 12,000 across the UK. 5. 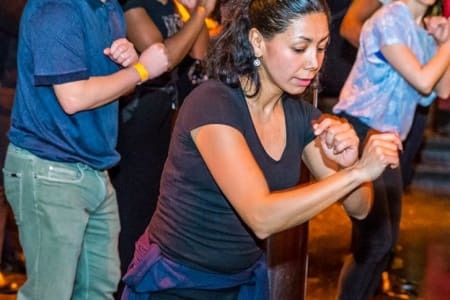 Amongst other things, the collective runs the UKs biggest latin clubnights Metrolatina @ Bar Salsa, LatinaMAX@The Rocket and The World Famous scalalatina@SCALA as well as some of the UK’s biggest Latin festivals and have worked with organisations including Sony and Save the Children.